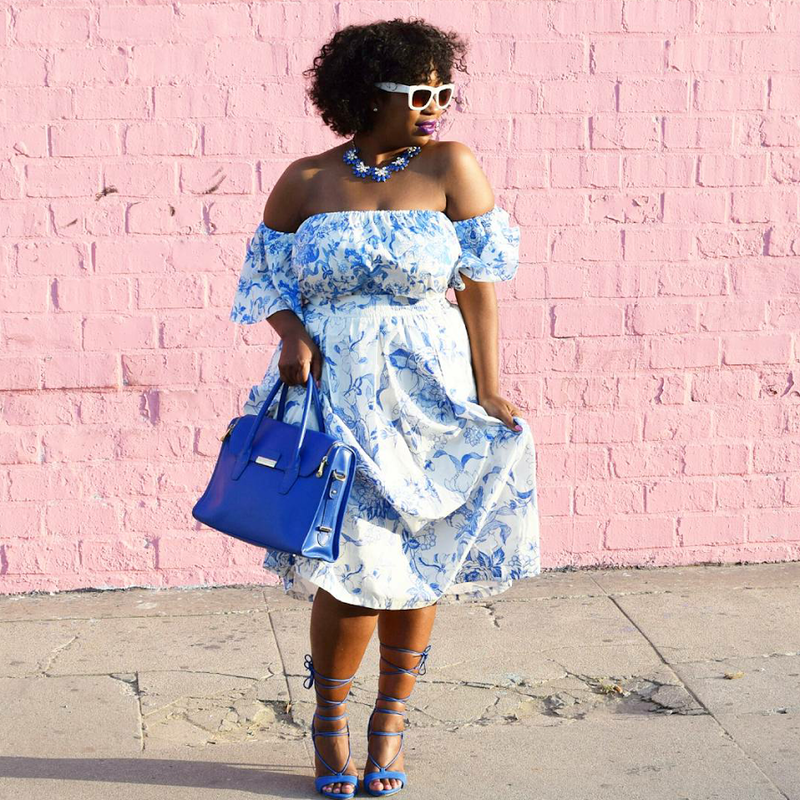 5 Summer Outfits You Need to Copy ASAP – Giselle Ave.
We are just a few weeks away from the official start of summer. And while I am thrilled for the sunny skies, all-white-everything parties and poolside shenanigans that are on the horizon, when it comes to choosing what to wear, things get a little tricky. Let’s face it, you don’t want to wear pants and be too hot. But you face the dilemma of freezing in the nighttime breeze or indoor air conditioning if you throw on a skirt or a pair of shorts. That’s when some much needed style inspo comes in handy. I personally find styling shorts super hard. How do you rock a pair without looking like a hoochie mama as my nana would say? Young At Style found the perfect balance, mixing her denim cut-offs with a lightweight high-low blouse and trendy floral wedges. This outfit is everything. Honestly, Awed by Moni‘s floral peplum skirt is my preferred everyday look in the summer. Her ruffled denim top is such a cute constrast and her statement clutch, fringe heels and mirror shades make the entire look pop. I’m obsessed with wearing my hair loose and free this summer. And pairing it with a floral dress is like the cherry on top, like In My Joi. 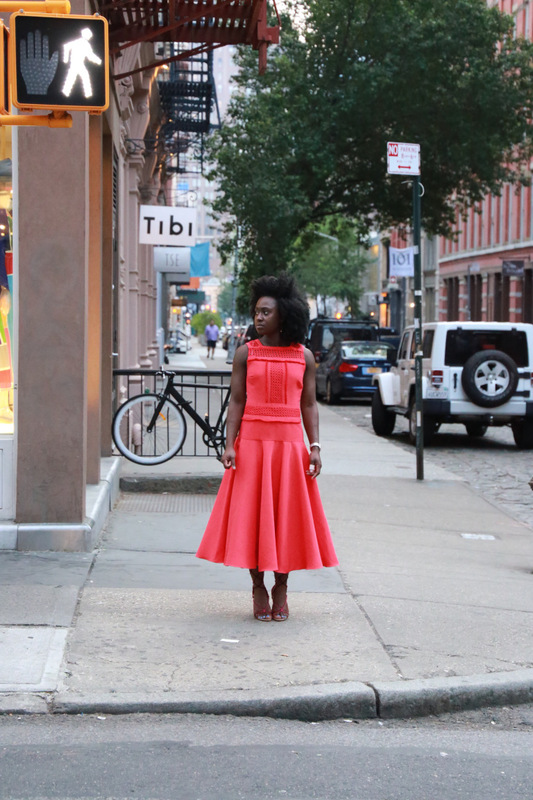 There’s always a place for a chic midi dress in my wardrobe for ANY season. Love this look on Just Missed The Runway. She kept her accessories understated and really let the silhouette of the dress do all the talking. Simple and chic gives that instant look of cool. I’m a sucker for an all denim look. Color Me Courtney‘s denim jeans and jacket combo is a super casual option for all your summer plans. 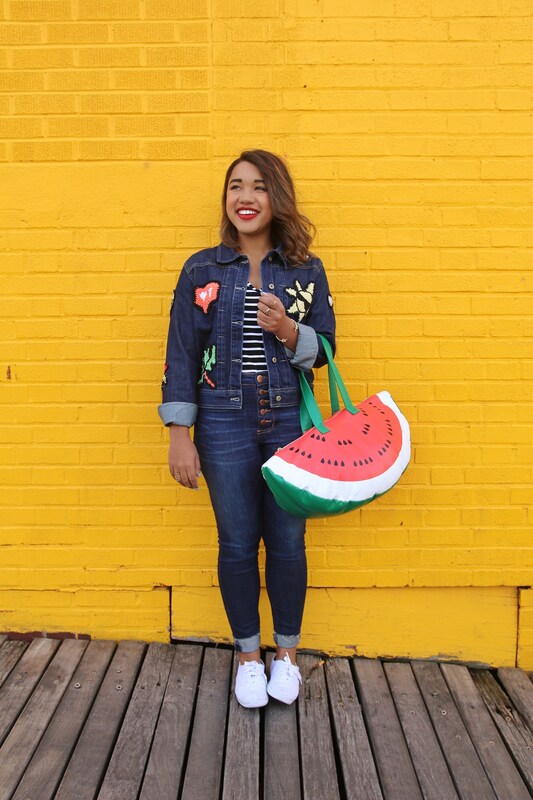 The watermelon handbag is my favorite part. A quick, easy look that seems super put together. Win, win! What are you wearing all summer long? Let me know in the comments below!